We are proud to annouce our wonderful speakers for the Fourth annual Texas Unschoolers Conference! Check back often to see new additions to our 2017 Speaker lineup . We want to thank the people who are giving of their time and energy to be with us during our stay at Hill Country Cottages & RV Resort. Not only will our speakers be sharing wonderful talks with you, they will be fully immersed in conference activities throughout the event. We also want to welcome some of our performers and contributors to the conference this year. Please go to the bottom of the page to meet them! So, without further ado, here is the speaker/performer lineup. Sue is an amazing Unschooling advocate and has paved the way for so many of us. The Pattersons were a military family and unschooled in Alaska, California and Texas. She has three grown unschooled kids who are doing spectacular things in the world. Sue has a beautiful website full of unschooling wisdom, has written for numerous homeschooling magazines and is currently the editor of The Homeschooler Post, a free online magazine. She has been a part of various homeschooling/unschooling groups and has started a few of her own. You may want to join her wildly popular Facebook Group, Unschooling Mom2Mom where she has gained nearly 10,000 members since inception in August 2014. Her book entitled, Homeschooled Teens, chronicles 75 teens and young adults who share what their lives were like as they homeschooled and unschooled through their teen years. It’s an interesting and thought provoking book and we’re looking forward to having it available for purchase at the conference. Sue coaches a limited number of people each month who are struggling with unschooling and/or are leaving the school system and feel overwhelmed with how to educate their children in this non-traditional path. Find out more about the various ways she is helping families at her website. Sue will be leading two talks entitled “Getting Started with Unschooling”. They are sure to be thought provoking, inspiring and uplifting. Come get your questions answered. Michelle Conaway, founder of Texas Unschoolers, is mom to three great kids and wife to a wonderful and supportive husband, Stacy Conaway. 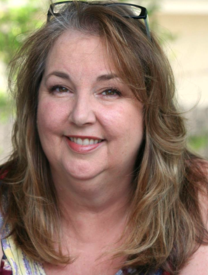 She has written for several homeschooling and unschooling magazines and is currently a columnist for The Homeschooler Post. Her commitment to empowering others to rethink the way they educate is her passion. Her Texas Unschoolers website, Facebook Page and Facebook group evolved out of a vision she had for unschooling in the state of Texas. She knew that somewhere in this great state of ours there had to be others who believed in respectful parenting and the power of learning through living rich and joyful lives. The Facebook group is now at 1,000+ members, the website is thriving and the last three TexUns conferences were a great success. She also created the popular Facebook group, Creative Unschooling Kids, where nearly 1,500 homeschooled and unschooled kids share their creative work. 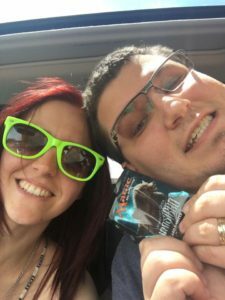 The newest addition to the website is the ALL forums (Alternative Living and Learning) where her and her husband Stacy hope to foster deep conversations about living and learning. She is happy to be a part of a community that is endeavoring to live lives filled with joy. She is currently organizing the upcoming 2017 TexUns Gathering, organizing the TexUns News, adding new resources to the Texas Unschoolers Website and facilitating all of her family’s interests. Michelle believes that all children deserve the right to evolve into who they were born to be rather than be shaped into something that someone else believes they should be. Her children challenge her every day to remember that they are their own people and that with her partnership, acceptance and love they will flourish. Michelle will start opening night with Amy Smith and Rachel Miller holding a Q&A Roundtable discussion about Unschooling. Michelle, along with her husband Stacy will be hosting a talk/discussion entitled “Radical Unschooling as a Lifestyle”. They are excited about discussing taking Unschooling into all areas of life. Michelle will also be hosing a coffee chat to talk about the importance of self care while unschooling. She’d love to have you join her for a lunch chat as well. Rachel Miller is married to her high school sweetheart, Josh, and they happily unschool with Cam and Livy in the Houston suburbs. 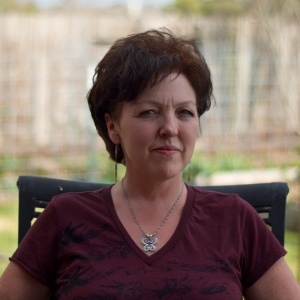 She is a writer, speaker and one of the coordinators for the TexUns Conference. Rachel’s article “Fostering Community Through Play” was featured in the Fall 2014 edition of The Homeschooler Magazine. Her inspiration for this article was derived from hosting her monthly gaming days for homeschoolers and unschoolers in her community. In addition to gaming, camping, traveling, sewing, swimming, reading, and facilitating anything else her family is interested in ~ Rachel sporadically blogs about Field Trips at the Texas Unschoolers website. Her passion for facilitating real life gatherings has sparked her desire to write about field trips and provide information on how to do this efficiently and effectively. She is an administrator on both the Texas Unschoolers Facebook page as well as the Texas Unschoolers Facebook Group. Many of Rachel’s articles can be found at the Texas Unschoolers website as well. And finally, Rachel is one of the coordinators of the TexUns Conference. We appreciate Rachel’s willingness to step up in an effort to help others on the unschooling path. Rachel will start opening night, along with Amy Smith and Michelle Conaway with a Q&A round table discussion about unschooling. Rachel will also be holding a round table discussion entitled: “Lights Out! Radical Unschooling and Sleep,” a discussion about sleep including common concerns and mutually respectful solutions. Rachel will be hosing a lunch chat as well. Amy Smith has been unschooling with her 3 children since before they were school-age. Her daughter, Kaylee (9 1/2yrs), her son, Ben (5 1/2yrs), and her daughter Jade (1 yr) have never been in school. Amy has always been interested in child development, which eventually lead her to an interest in life-learning. 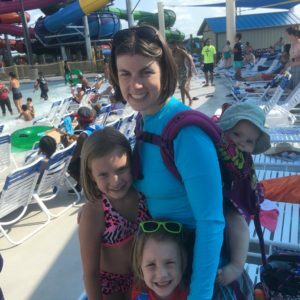 She and her kids are very active in their local unschooling group in the Houston area, Families Learning Freely, of which she is one of the founders and administrators. 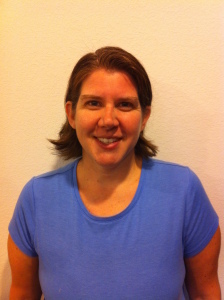 Amy is one of the TexUns Conference Coordinators and is in charge of Conference Activities & Scheduling. Amy is also an administrator for the Texas Unschoolers Facebook page and Texas Unschoolers Facebook group, and is responsible for contributing to the content and resources posted there. We want to thank Amy for all of the hard work she has done to make our Facebook presence and conferences be a reliable resource for those interested in the unschooling path. Amy enjoys taking lots of pictures, laughing, cooking, organizing events and being with people. She is also a mentor for Elimination Communication, and an advocate for infant bodily integrity and circumcision education. Amy will be hosting, along with Michelle Conaway and Rachel Miller our opening night Q&A and discussion about unschooling. She will also host a coffee chat to discuss unschooling with littles. 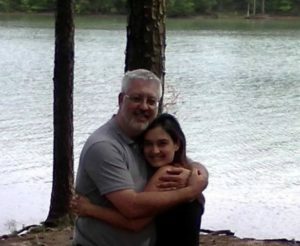 Stacy Conaway is Dad to three amazing kids and husband to Michelle Conaway. He is the “brains” behind the Texas Unschoolers website and handles all of the technology issues associated with Texas Unschoolers. He is also an administrator of the Texas Unschoolers Facebook page and group. His recent decision to leave the corporate world to pursue his passion of technology lead him to start CincoTec, an Apple certified technology and support business. This decision has helped to him to achieve his dream of being with his family full time, allowing him to work from anywhere in the world with an internet connection. His passion for University of Texas football led him to be the owner and manager of a super popular University of Texas discussion board called HornFans. You can find him most days working alongside his family at the dinner table, currently in Katy, Texas. Stacy, along with Eric Smith will co-host the popular Dad’s Only discussion, where unschooling dad’s can ask their questions and provide their insights about matters of unschooling. Stacy, along with his wife Michelle will be hosting a talk/discussion entitled “Radical Unschooling as a Lifestyle”. They are excited about discussing taking Unschooling into all areas of life. Eric was not one to buck the system, yet he still got in trouble in first grade for writing word problems in his writing journal. He has continued to do and learn math at every opportunity, adding a Math minor to his degree in college, and gaining his Doctorate in Chemical Engineering while taking as many extra math courses as possible. 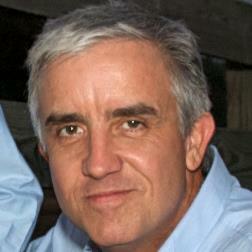 Eric is currently a manager at MSI Kenny in Houston where he writes software to model fluid dynamics in oil pipelines. He continues to learn new coding languages & higher math on his own. Eric and his wife, Amy, have 3 children, Kaylee (9 1/2 years old), Ben (5 1/2 years old) and Jade (1 yr.) who have always been unschooled. Besides math, Eric’s other hobbies are researching home theater systems, convincing his friends to buy gaming consuls & high quality TVs, studying Austrian Economics, and learning all about Apple products. He also enjoys playing video games, although lately that means almost exclusively playing the Lego Movie Game with his kids. 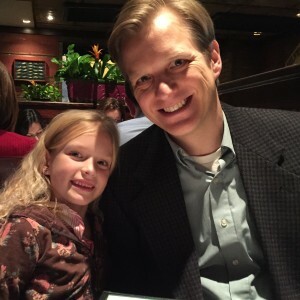 Eric, along with Stacy Conaway, will co-host the popular Dad’s Only discussion, where unschooling dad’s can ask their questions and provide their insights about matters of unschooling. Eric will also be hosting a Q&A about Math and how to incorporate that into unschooling. He may also be offering a few one on one sessions for those interested in specific tools for incorporating math into the unschooling lifestyle. Steve and Christy Sensenig have been traveling in their motor home since December of 2012. They travel with their two children, Dylan and Calista (ages 24 and 10) and their cat, Chloe. They have enjoyed the variety of landscapes and destinations throughout their time on the road, but mostly love connecting with other people in their extraordinary journey. The things they enjoy most about travel: meeting and connecting with like-minded people across the US, seeing the amazing sights that this country has to offer, having the freedom to learn and grow together as they explore their passion for life and offering their children the freedom to learn, grow and follow their passions as well. They are able to work remotely as they travel with some work taking them to particular locations. Steve is an accomplished musician and software developer and Christy creates beadwoven jewelry and assists several clients in administrative and tech support. Their choice to travel and live life with their children and anyone else that wants to join them is one that is fueled with a desire to experience life to the fullest with no end in the foreseeable future. Steve and Christy will be holding a discussion entitled Nomadic Unschooling: Taking the Show on the Road. It is sure to be a lively and interesting discussion. Michelle Anderson is taking the Jelly Belly Schmelly Show on the road – specifically for the TexUns Gathering! She is a wonderful performer and we know your kids are going to LOVE her! Don’t miss her performances and also her YouTube Workshop at the 2017 TexUns Gathering. Michelle “Shelly” Anderson is changing the world one smile at a time. She has been a sought after balloon artist entertainer for 6 years in the Houston, TX metro area. She has an amazing way to connect at the heart level with kids of all ages. She has performed at birthday parties to company parties, as well as churches, schools and festivals. 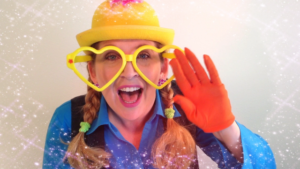 Her new children’s show on YouTube, The Jelly Belly Schmelly Show, is gaining momentum and kids and parents are loving it. Michelle’s blend of entertainment, comedy, and creativity have earned her the claim as “The best balloon lady ever!”. At least that is what one wise 9 year old told her.  You will be sure to enjoy an interactive, engaging, and playful experience with her whether she is making you a balloon, watching her on YouTube or attending her LIVE show. She will make you say “WOW!” as well as connect to your heart. She is a performer for the entire family that you will be sure to love. We are excited to welcome Jessica and Jason Hainbach back to host the Tween/Teen Lock-In on Saturday night. They both love kids, pop culture, comics and gaming. The lock-in was a super success last year and we look forward to everything that Jason and Jessica have planned! Jessica has worked with children for over 15 years! She currently has her own day care and enjoys bringing joy into the lives of children. She believes in respectful communications with children and strives to help them realize their brilliance. Jason is one of the founders of the largest Comic Con in Texas, Comic Palooza, held at the George R. Brown Convention Center in Houston, Texas. He loves gaming, comics, card games, organizing events and having fun! Rest assured, your tween/teens will have a blast with Jessica and Jason in charge of Lock-In activites!